Ian Pelekis, a Director of the Canadian Centre for Strategic Studies, is an acting collaborator with NAOC on this special report on the Defence Policy. Geography has elevated the Canadian Army (CA) to a vital component of Canada’s ability to project force and participate in multilateral operations with global allies. Separation from the Eurasian landmass and Canada’s interests in engaging with it force the army to maintain capabilities both numerically and technically on par with allies if engagement is to be continued. This final part of the special report on the Defence Policy will test the policy’s claim that it provides the CAF with “the force size and equipment required to achieve excellence across the full spectrum of military operations, from humanitarian assistance and disaster relief, to peacekeeping, to combat” in the context of the CA. The policy emphasizes that CAF deployments will almost always occur in tandem with allies, and procurement programs across all branches of the Canadian military are geared towards integration and interoperability with allies. The current size of the CAF will be increased by 3,500 personnel to a total of 71, 500, allowing for “critical investments” in identified areas of interest including space, cyber, intelligence, and targeting- the CA stands to derive minute benefits from this additional manpower. 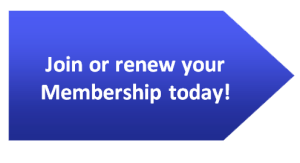 To best prepare for ongoing and future missions the CA will retain its current organization into brigades since it is “the minimum level” at which the CA can conduct joint campaigns. Unlike the air force and navy, there is no single attention grabbing procurement project for the army. Indeed, future procurement projects are seemingly tailored towards the objective of integrating the CA with allies and the rest of the CAF. In the absence of any immediately foreseeable scenario where the CA will act in a unilateral capacity, it is understandable why Canada, which enjoys designating the CA as a disaster relief force throughout the policy, is unable or unwilling to pursue serious war-fighting capabilities on land. Given the convoluted nature of Canada’s history of procurement and acquisition, the state of the CA bears heavily for any unforeseeable future circumstances which might place heavy demands on the CA. Instruments fundamental to the CA’s future effectiveness as a combat-ready force are identified by the policy to include command, control and communications (C3) systems, night vision systems, and logistic vehicle fleets. This apparently will not prevent Canada from ‘pursuing’ investments in war-fighting capabilities. The policy highlights anti-tank guided missile systems and a ground-based air defence system as equipment whose acquisition might be ‘pursued’. As of this writing there are no concrete indications of how these pursuits will manifest into procurement and acquisition projects. Other pursuits, tailored toward intelligence, surveillance, reconnaissance (ISR) and C4ISR capabilities (see for example the tender for a Land C4ISR support system reflective of the general direction the CA is heading in), are less abstract yet still problematic. Even these objectives and possible acquisitions are stated by the policy in terms broad enough to prevent any serious attempt to examine the implications of Canada’s interest in ISR and C4ISR capabilities and their integration into the CA. The broadness of these objectives is reflective of the (publicly available) current status of any concrete programs to acquire and develop such capabilities. Investments in space and C4ISR will form an important part of Canada’s ability to protect its interests in a fast approaching future but these developments do not completely diminish the importance of more traditional war-fighting capabilities. Canada only last month completed its decade long project to replace its Leopard 1 with an upgraded Leopard 2 fleet (close out date is projected to be December 2017); it is little over half way through completing its procurement of 500 Tactical Armoured Patrol Vehicles (TAPV); and, it has decided to cancel the procurement of a Close Combat Vehicle (CCV). Interestingly, the decision to cancel the CCVs, in 2013, was justified by a revelation that Canada’s upgraded Light Armoured Vehicle was more superior than “originally envisioned” as well as “considerable” supplementary investments in ISR. In the context of a Defence Policy seeking to utilize the CAF mostly in peacekeeping or disaster relief operations, the status of CA procurement projects make clear that Canada is reorienting the CAF to move away from expeditionary combat missions. 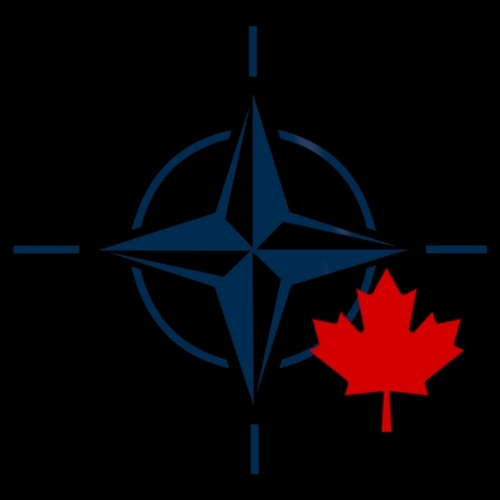 Despite committing to alliance obligations through statements such as Canada will maintain “high-quality, interoperable, and expeditionary forces” to deploy “as needed” it is difficult to envision how Canada will do so on the basis of projections by the policy. Canada has certainly sought to convey an image to the international community of a country that meets it commitments and plays its part. This is best exemplified by Canada’s participation in NATO’s Enhanced Forward Presence (EFP) as one of the four main country battle groups in Europe. Canada’s concurrent involvement in Operation Impact in the Middle East is further demonstrative of this. It is undeniable, however, that the 2017 Defence Policy has acknowledged that Canada’s air and maritime necessities can only be met at the expense of its land forces. Canada’s navy and air force are in themselves sufficient means by which Canada can contribute to multilateral operations without requiring a ground combat force capable of expeditionary missions. The $8.8 billion CAD allocated by the policy to new (future not ongoing) army procurement projects is overshadowed by the $20.1 billion CAD allocated to the air force. The navy is only (misleadingly) allocated $2.9 billion but this is only in an arbitrary 20 year time frame where the major procurement project (15 surface combatants) will impose more costs than the creative accounting methods the policy employs (discussed in part two) reveal. Ultimately, the strength of a nation’s army is made relevant and contingent upon the political objectives of that nation. If Canada determines that the CAF’s future role will be limited mostly to peacekeeping and disaster relief operations, investments in other areas such as C4ISR and space to substitute instead of supplement the capabilities of the CA become more understandable. Even then, this would place additional burdens on the air force and navy to contribute more heavily in multilateral operations with allies should Canada continue to uphold its image as a country that ‘plays it part’. Whether Canada should determine that peacekeeping and disaster relief will be the primary cause of the CA’s deployment is an entirely separate question. 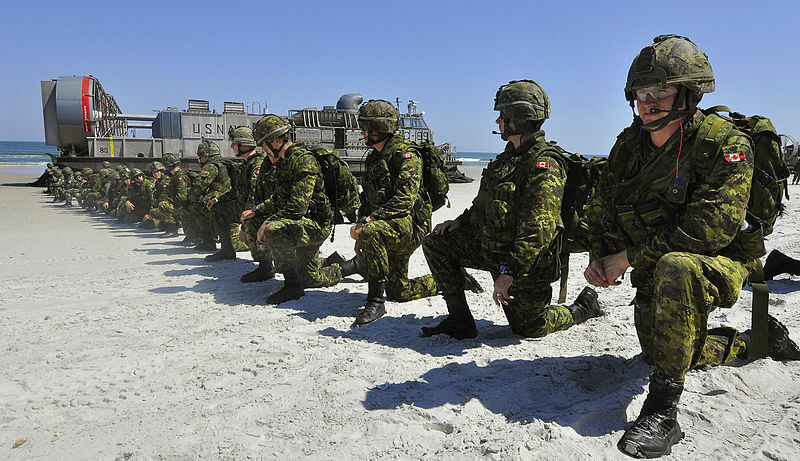 Photo: Canadian soldiers partaking in the 50th UNITAS exercises (2009) a multi-national exercise intended to increase interoperability amongst allies via Wikimedia Commons.